Need a new boiler in Winsford? Get FREE no-obligation quotes now! Phoenix Renewable Technology Ltd together with Phoenix Gas Services Ltd is a part of Phoenix Group. 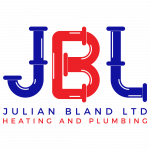 Julian Bland Ltd - Specialists in new boiler and heating system installations. Causeway Heating Services Ltd is a long established business offering central heating and electrical services to clients throughout the local area. AJM Gas Services are heating engineers based in Cheshire with 23 years’ experience. We are a family run business providing plumbing and electrical services. We would be happy to quote you on any of your installation requirements. Valliant ecoTEC plus boiler with F.75 fault. Current Fuel: Electric. Current Boiler: Immersion heater. Open to advice on location of boiler. Replace within 1 month and contact anytime. Current Boiler: Mistral. 40 years old. Working. Located in the Laundry, keep in the same place. Flue Location: Wall. Replace within 3 months. Contact anytime. No hot water and heating is poor. Repair ASAP and contact anytime. Current Fuel: Warm air heating. Supply and fit of boiler, pipework and 5+radiators. Timescale ASAP. Contact anytime.